It is a cool crisp morning, and to be perfectly honest, I am not in the mood for a long drive. 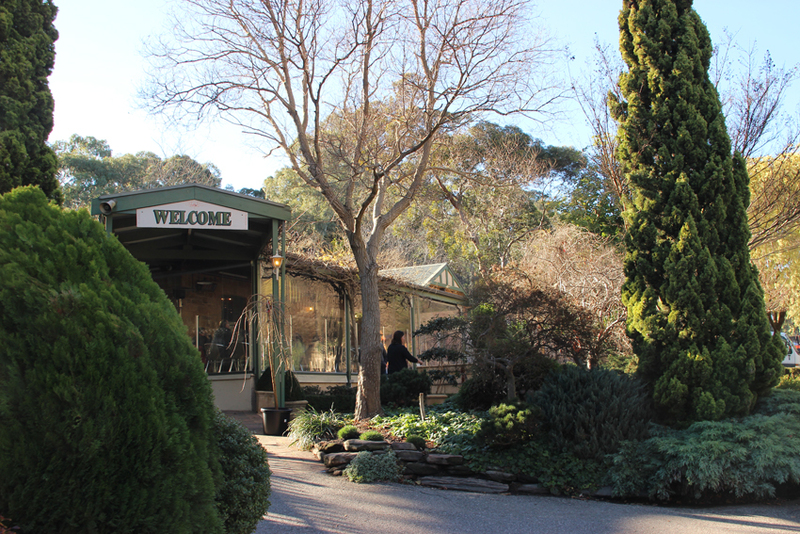 Instead, I have decided to visit a local nursery just a few kilometres away, where the North East Road starts its climb into the Adelaide Hills. As I park the car next to the entrance I am immediately struck by the contrast in lighting conditions. 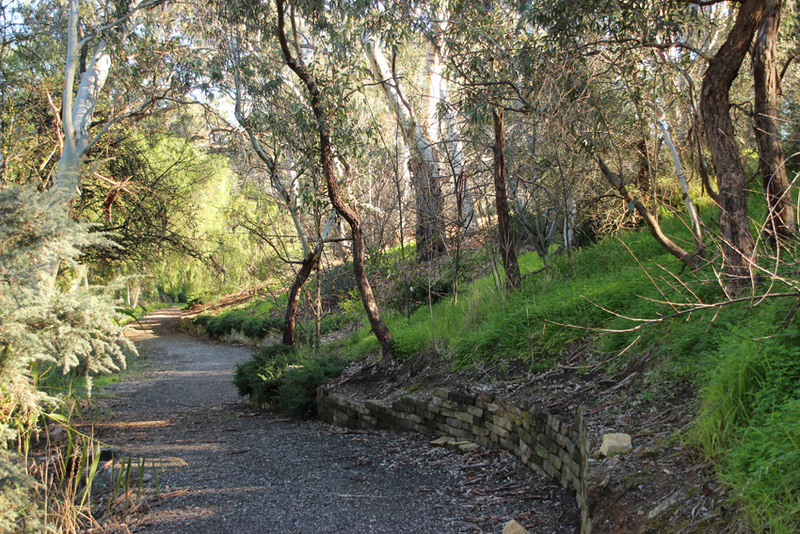 The path following the little creek that leads from ‘Newman’s Camellia’ nursery to the ‘Tea Tree Gully Hotel’ is in deep shade whereas the hills on the opposite side of the road are bathed in sunlight. An afternoon walk might have offered better lighting for photography but the wildlife always seems more active in the morning. 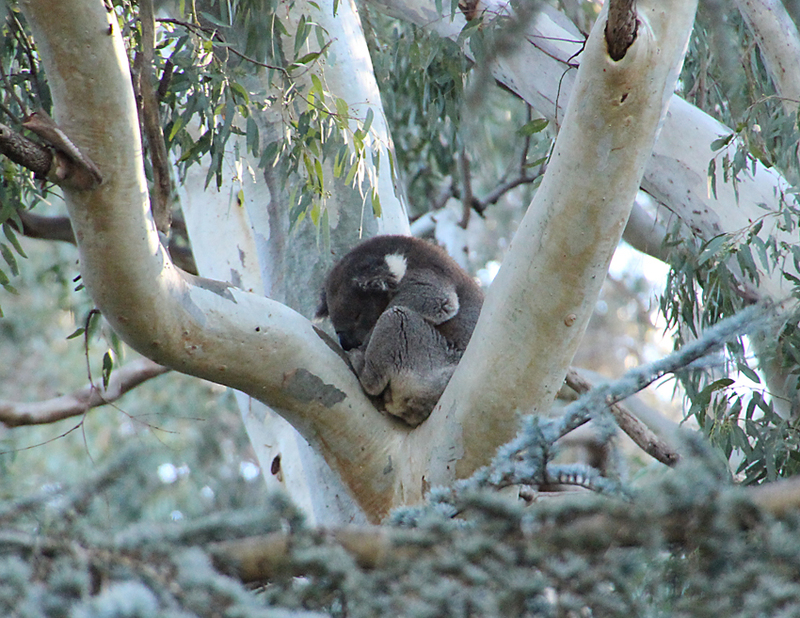 Climbing out of the car I glance up at the hillside above the little creek and to my surprise and delight I notice the hunched outline of a koala wedged between the branches of a huge gum tree; not what I was expecting this close to a suburban area. The trail starts just a few metres from the nursery entrance and meanders alongside the small watercourse for a mere 500 metres before broadening to a neatly manicured lawn enclosed by trees and shrubs. 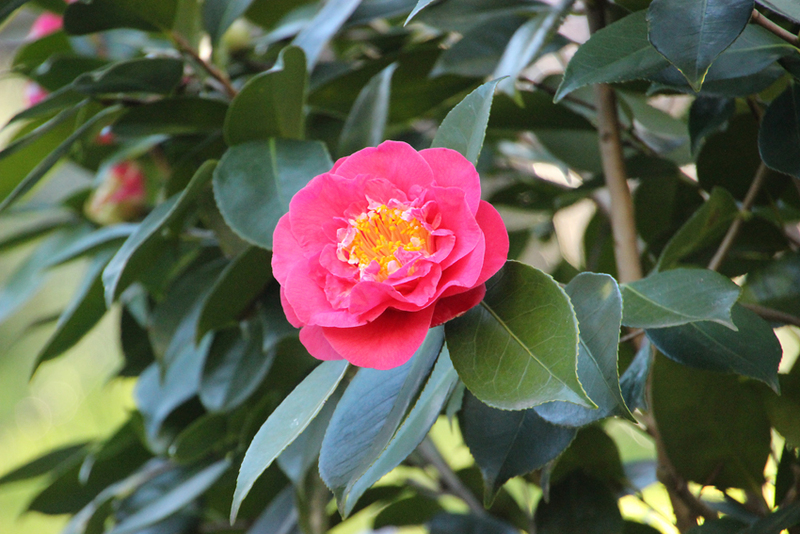 A varied collection of plants flank the path; including arum lilies, several lovely camellias, indigenous wattles and melaleucas as well as the ever-present, towering eucalypts. 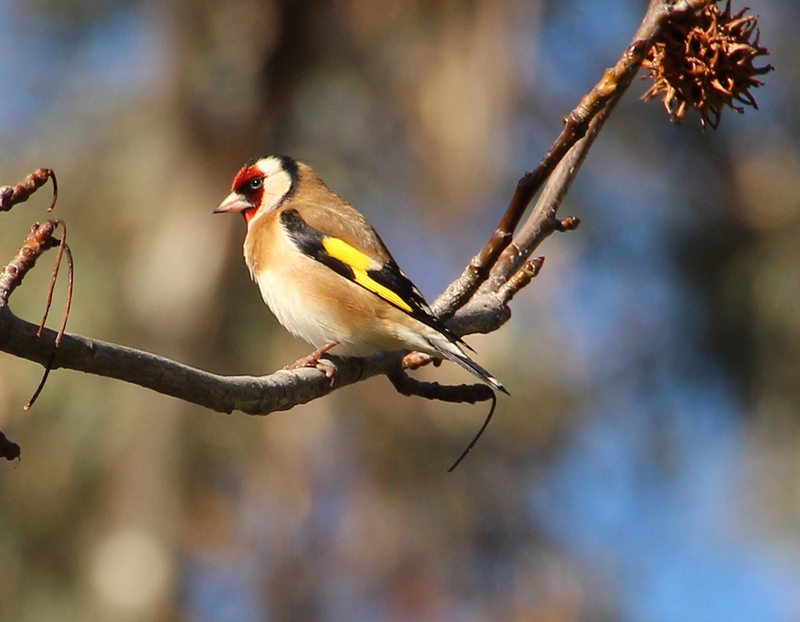 Small birds are continually flitting through the bushes though I am only able to catch fleeting glimpses of them. Some are definitely female blue wrens and I suspect that the tiniest ones are thornbills. Eventually, a small brownish bird settles in a low, flowering shrub some 50 metres away. 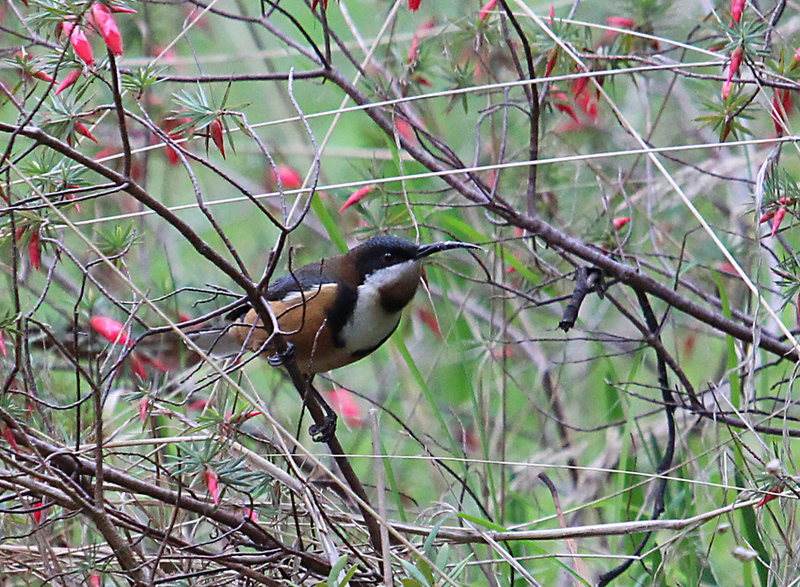 I fire off a series of shots which, on review, reveal a glorious eastern spinebill. At the end of the trail half a dozen magpies are foraging for grubs in the well tended lawns. 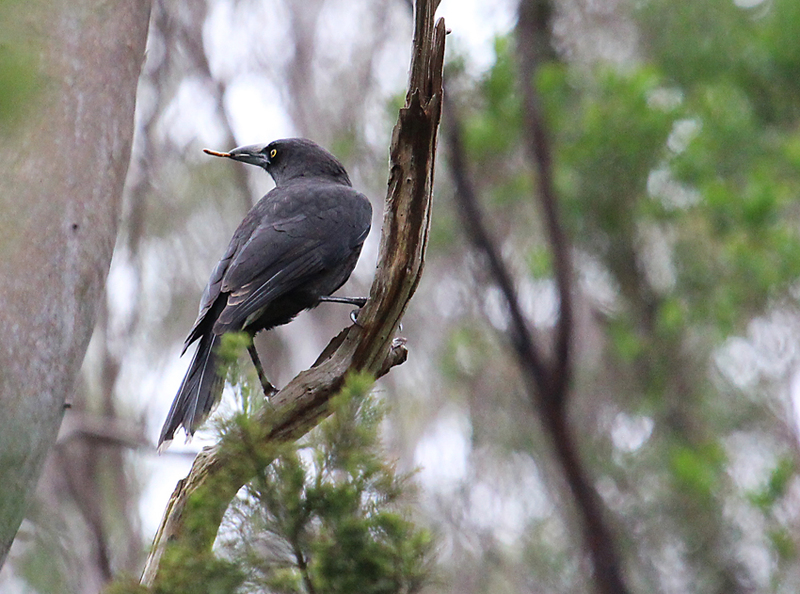 Several enormous gums tower over the grass and a pied currawong is perched on one of the topmost branches with a seed pod hanging from its beak. Another bird joins it, they seem nervous, jumping between branches before flying off, possibly to a nesting site. The walk back is equally eventful with both rosellas and lorikeets feeding on berries in the scrub along the edge of the trail but capturing a sharp image in the shadows and overcast conditions is somewhat challenging. 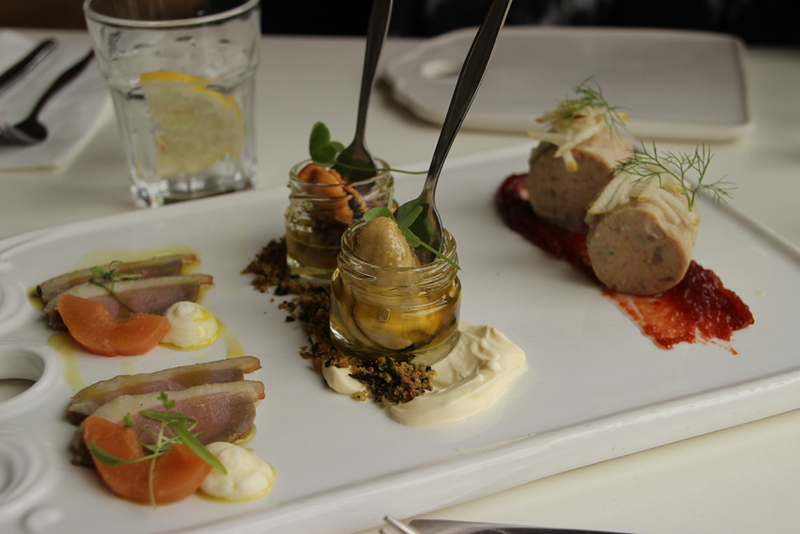 Newman’s nursery has a charming little restaurant with both inside and alfresco dining areas which afford a fine view of the hillside on the other side of the road. While I enjoy the delights of a tapas snack I notice several tiny finches feeding on the liquid amber trees that decorate the front of the nursery. From my outside table the birds are just within camera range and using the long lens I am able to identify them as European goldfinches.